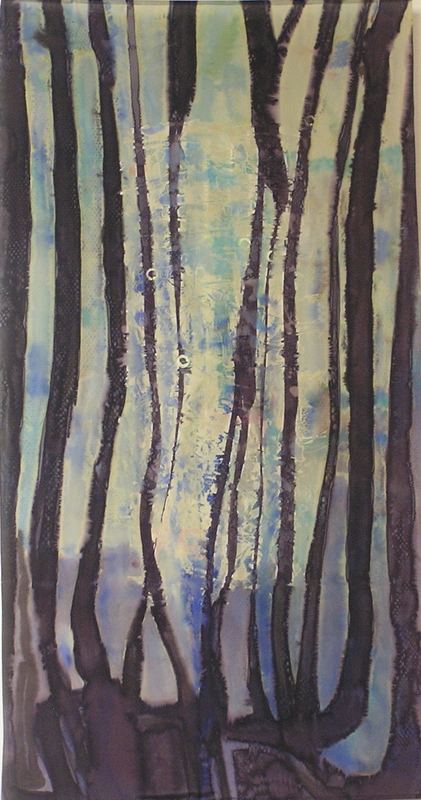 This large hanging is fluid and speaks of the openings into other realms. I have used a fiber reactive dye, heat set for color permanence. There is monoprint work and a breath quality. It hangs from a metal rod, top and bottom.